Helping to protect and restore wetlands is an important part of MBI’s mission. Healthy and functioning wetlands are an essential component of any meaningful water quality and water management program. Wetlands serve to provide nutrient removal from the water, help to reduce siltation and provide some degree of protection from floods and flood damage. Our remaining wetlands are threatened and under a lot of pressure these days. One of their greatest threats, if not the greatest threat, comes from human development and construction. It seems that more and more wetlands just happen to be where someone wants to build a new building or a new subdivision. Inevitably the first order of business when planning new construction is to find ways to drain and dry out the wetland and put in a parking lot. This is not a wise long-term plan for our future. For each square foot of wetland we destroy or pave we also lose a square foot of nutrient reduction capacity, flood reduction capacity, wildlife habitat and water pollution improvement capacity. We need to do better. We all need to learn more about and understand what wetlands are, what they do and how we can live with them. MBI is working to help accomplish this goal. We provide education and training on assessing and determining wetlands. We provide training on wetlands to increase the number of knowledgeable people who can carry out this valuable work and can assist in the protection of our wetlands. I was lucky enough to have the opportunity recently spend two days doing wetland field work with our MBI Wetland Ecologist, Mick Micacchion. We did wetland assessments on several large wetlands in Geauga and Portage County. 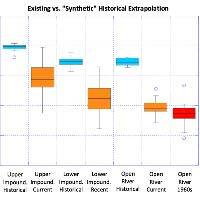 They were all basically Category 3, high quality wetlands. While they were difficult to traverse they were exceptionally beautiful and provided many acres of valuable habitat and water quality protection. A photo gallery of photos of the wetlands is on our Facebook page and our website as well. Take a look at the photos and then take the time to visit the real wetlands that are in your vicinity. Also visit our training website to see what we offer. 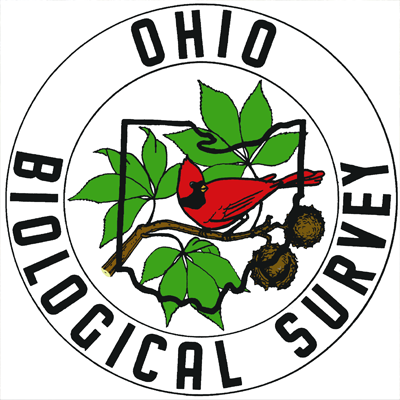 Founded in 1912, the Ohio Biological Survey (OBS) was developed to provide an opportunity for a variety of organizations to collaborate, produce, publish, and disseminate biological information.